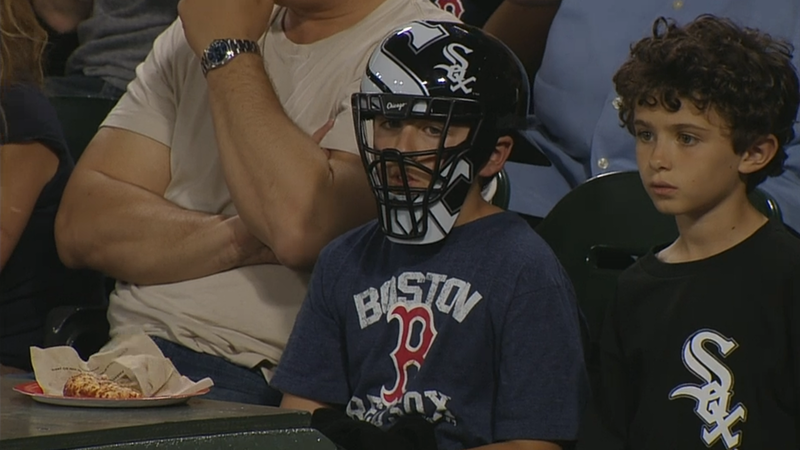 They take their baseball seriously in Chicago. They are also unfailingly loyal. 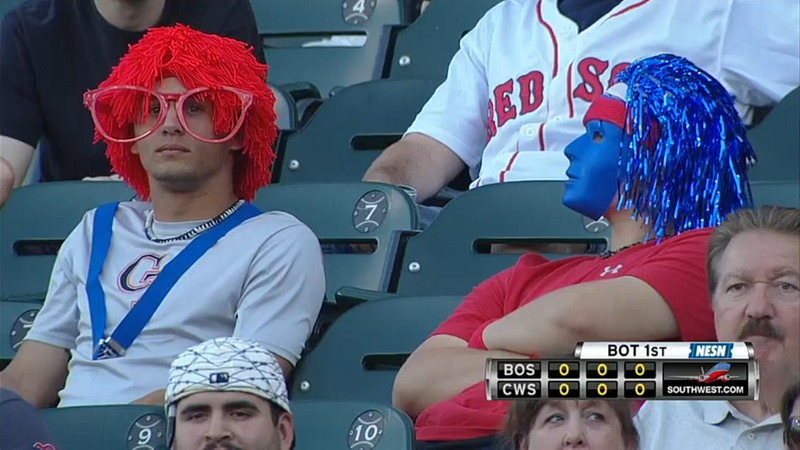 The only thing that would be worse is if he had some Cubbies gear, too. In the first frame with two runners on Adam Dunn accomplished the true outcome that gave his team a 3-0 lead. The White Sox never trailed. Jarrod Saltalamacchia’s two-run four-bagger brought the visitors within three runs. Matt Thornton allowed David Ortiz and Mike Napoli to reach on walks in the seventh. Daniel Nava flied out to right and Ortiz tagged up. With runners at the corners Will Middlebrooks lofted to the ball to left field where Dayan Viciedo mistimed his leap. The double allowed Ortiz and Napoli to score. Pale Hose relievers Jesse Crain and Addison Reed fared better than Thornton, however, shutting down the visitors for final two frames. Comparing Boston and Chicago’s current sports resumes, the Bruins are ahead 2-0 in hockey while the Blackhawks are down 2-1. The Bulls advanced past the first round of the NBA finals, unlike the Celtics, but lost to the Heat 4-1. Neither city’s MLS teams are doing well. Both of Chicago’s MLB franchises are under .500 but the Red Sox are vying for first in the AL East. I would say that the red and blue-wigged denizens of U.S. Cellular Field tip the scale in favor of Boston but the preponderance of Wally hats evens out the race.